Many people prefer to use natural immune boosters to pharmacy medicines justifying this by their greater safety and usefulness to the body. In fact, it is by no means impossible to compare these two groups of drugs. Antiviral drugs are a huge class of a wide variety of medicines, from which everyone can choose something suitable. Natural drugs should not be abused as they also have their own advantages and disadvantages, contraindications and side effects. In addition, in the pharmacy, you can find many pills, syrups, and sprays made from natural ingredients. They are the safest and the most effective. The natural methods for boosting immune system are a worthy alternative to a drug treatment. Many medicinal plants and herbs can strengthen the immune system and help get rid of viruses. Check the list of the most effective natural antiviral treatments. Garlic has been cultivated for more than 5,000 years. Garlic as a natural remedy was even appreciated by the Egyptian pharaohs. In many cultures, garlic was used as a remedy for colds and flu. During laboratory studies, it was shown that garlic has antiviral, antibacterial, and antifungal properties. Antiviral and other therapeutic properties of garlic are provided by numerous compounds included in its composition. The most significant of them is allicin, which produces a sharp smell of garlic. Several laboratory studies have confirmed that garlic is an excellent remedy for the destruction of cold viruses, as well as herpes simplex virus types 1 and 2. Garlic’s constituent substances also include enzymes, glycosides, essential oils, phytoncides, organic acids, choline, B vitamins, as well as vitamins PP, C, and D. Garlic is also rich in and macro- and microelements, of which selenium is of a particular value. Apple cider vinegar is widely used both in pure form and in the solutions of various medicinal preparations. The composition of apple cider vinegar includes special enzymes, as well as vitamins A, C, E, B, amino acids, and mineral elements. When buying the vinegar in the store, you should make sure that there are no additives in it and it is produced without accelerated fermentation, which destroys most of the nutrients. St. John’s Wort plant is a well-known natural drug for depression. It is also used for wound healing and to relieve pain in neuralgia, fibrosis, and lumbosacral radiculitis. Laboratory studies have shown that this flowering plant also has antiviral activity against influenza viruses, herpes simplex, and HIV. Hypericin and pseudo-hypericin are chemical substances found in the plant. They are active against enveloped viruses. These are viruses that tear off a piece of the cell membrane when they leave the infected cell and wrap it around them to deceive the body’s immune system. Hypericin and pseudo-hypericin attack these fragments of the cell membrane but do not affect the membranes of living cells. Echinacea boosts the immune system and has a direct antiviral effect. In several clinical studies, it has been shown that the drugs made of Echinacea flowers and roots are effective in reducing the severity and duration of symptoms in patients with cold, upper respiratory tract infection, and viral bronchitis. This unique product of beekeeping has always been used by people very widely. Today it is known that honey is a natural antibiotic that can cope with so many bacteria and protozoa. All these properties of honey are provided by the special enzymes produced by bees that make up its structure. If natural immune boosters are not effective, you can find plenty of antiviral drugs at Canadian Health&Care Mall canadahealthcaremall.com. 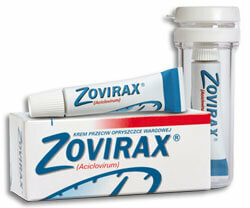 The creation of Zovirax was perceived in the medical world as a new era in the treatment of viral diseases. Due to its high selectivity, along with low toxicity, it has become one of the most popular antiviral drugs. The active ingredient of Zovirax is of natural origin. The nucleosides isolated from the Caribbean sponge became the basis for the synthesis of the drug. Zovirax pills have a direct antiviral effect, which means that they act directly on the viruses themselves, preventing them from multiplying. Valtrex is a drug belonging to a group of antiviral agents. It is a drug of the new generation. It is synthesized from Zovirax. Just like its predecessor, it is an anti-herpes agent. But, unlike Zovirax, it is less toxic to the liver and acts more quickly on the herpes virus, speeding up the recovery. Valtrex pill is also used to treat cytomegalovirus, varicella-zoster virus, and Epstein-Barr virus. Famvir pills contain a medicinal substance famciclovir, which has antiviral activity exclusively to herpes viruses. The antiviral effect of famciclovir in relation to herpes viruses is associated with penciclovir, which is formed in the body from famciclovir. Like Zovirax, penciclovir after penetration into the cell of the body under the action of viral thymidine kinase is phosphorylated with the formation of penciclovir monophosphate. The treatment of herpes zoster – primary or recurrent – with the phenomena of herpetic neuralgia, caused by the herpes zoster virus of type 3. The treatment of herpes recurrences on the lips of people with weakened immune system, the cause of which is the herpes simplex virus type 1. Combivir is a combined pharmacological drug that has an antiviral effect on the human body. Combivir shows its activity in relation to the HIV – virus of human immunodeficiency. The active substances of the drug are zidovudine and lamivudine. They are highly effective selective inhibitors of HIV-1 and HIV-2 reverse transcriptase. Combivir is approved for HIV control among both adults and children with a body weight of at least 14 kg. Clinical studies show that lamivudine and zidovudine together with other antiretroviral drugs reduce HIV-1 load and increase CD4 + cells. The patients’ comments on Combivir indicate a positive dynamic if the therapy is selected by a qualified physician and there are no contraindications to the use. Combivir side effects are observed from the nervous, lymphatic, and circulatory systems. No case of a drug overdose ended in a lethal outcome, and the patients’ condition returned to normal. In addition to these drugs, there are many other effective medications that can help you boost your immune system and fight various viruses. You can find a complete list of these drugs at Canadian Health&Care Mall main page: www.canadahealthcaremall.com.